Virtualization promotes flexible utilization of IT resources, reduced capital costs, high energy efficiency, highly-available applications, and improved business continuity. 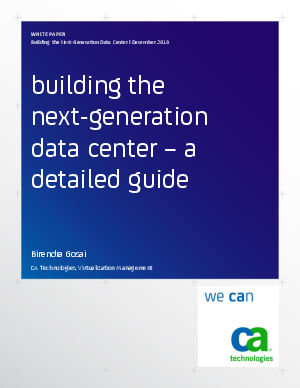 However, building and managing the next generation datacenter is not all clear sailing - most organizations struggle with added complexity, visibility & control, SLA management, etc. This whitepaper: Describes a 4-stage virtualization maturity lifecycle experienced by many organizations and discusses in detail (using sample project plans) the tasks and capabilities required to succeed at each stage of the maturity lifecycle.